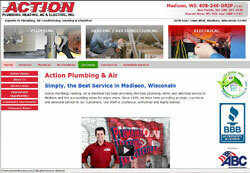 Action Plumbing, Heating, A/C & Electrical, Inc. - Simply the Best Service in Madison, Wisconsin. Action Plumbing, Heating, A/C & Electrical, Inc. has been providing the best plumbing, HVAC and electrical service to Madison and the surrounding areas for many years. 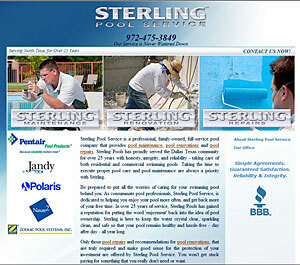 Since 1989, we have been providing prompt, courteous and personal service to our customers. 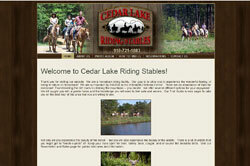 Our staff is courteous, uniformed and highly trained. We specialize in plumbing, heating, cooling and electrical repairs and maintenance for both residential and commercial properties. Thinking of remodeling the kitchen or bathroom or even building a brand new home? We're here to help. 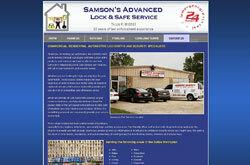 When you need some Action, give us a call! We welcome Action to the iComEx family and look forward to many years working together.